I have just learned that the British historian John Saville has died in his nursing home at the age of ninety-three. Saville's political sympathies, personal courage, and intellectual abilities meant that he was involved in some of the most important events of the twentieth century, yet he was an incorrigibly modest man who lived for most of his life in the same small house in the unfashionable provincial city of Hull. Saville got his swarthy complexion from his Greek father, who died in his native land after returning there to fight in World War One, but he took his name from his mother's second husband, who worked as a tailor in the Lincolnshire town of Gainsborough. After winning a series of scholarships, the eighteen year-old Saville found himself a student at the London School of Economics, where he quickly gravitated towards the Communist Party. Saville's parents had been apolitical, and he had been an enthusiastic teenage member of the Anglican Church, but the suffering caused by the Great Depression and the rise of fascism in Europe seem to have steered his thinking leftwards. Although his intellectual abilities had given him an unusual range of career options, the young Saville was aware of the impact that the Depression was having on Britain's working classes. In Gainsborough, for instance, 70% of the population was unemployed in the early '30s. To many young Britons appalled by the suffering the Depression was causing and by the advantage that fascists were taking of this suffering, the Communist Party seemed like the only possible political home. The Labour Party had split over the proper response to the economic crisis, with its leader and some of its highest-profile members forming an alliance with the Tories and implementing right-wing economic policies that were only exacerbating the crisis. The section of the party which had rejected the Tories had little idea about what to propose in place of cuts to government spending and appeasement of the fascists who had taken control of Italy and Germany. In middle age, Saville would recall that he did not write a single essay during his first two years at the London School of Economics; he was too busy, apparently, organising political meetings and selling copies of the Communist Party's Daily Worker newspaper. In his third and final year, Saville finally applied himself to his studies, spending fourteen hours a day reading his way through the rather dull canon of economics classics. He graduated in the middle of 1937 after attaining exceptional exam results, and was offered a prestigious research scholarship. Instead of setting himself up for an academic career, though, Saville puzzled his friends and family by getting a job as a courier for a travel agency. Saville's choice was not as quixotic as it seemed. Although they paid a pittance, his employers repeatedly asked him to travel to Germany, and he used these journeys to smuggle messages from Britain's Communist Party to the underground anti-Nazi resistance there. One of Saville's journeys almost ended in disaster: after the ship he was taking across the English Channel struck a rock in a storm, he found himself clambering into a lifeboat and landing on an obscure piece of coast called Dunkirk. Saville was called for military service in 1940, and trained in artillery. He was stationed with an anti-aircraft battery in the docks of Liverpool, and spent the winter of 1940-41 shooting at the Nazi bombers that made nightly raids on the town. Saville repeatedly refused promotions that would have taken him away from danger, but was eventually forced to leave his unit, become a sergeant-major, and train new recruits in the arts of gunnery. After refusing further promotions that would have kept him in Britain, Saville was despatched to India in 1943. He quickly discovered that 'the jewel of the Empire' was a society in revolt against British imperialism. Tens of thousands of Indians had taken up arms and joined the Japanese forces that sat on the Burmese border of their country; others staged massive demonstrations and strikes in support of independence. Nehru and other leaders of the Congress Party had been imprisoned for refusing to support the war effort, and the large Communist Party was trying to balance its enthusiasm for the defence of the Soviet Union with its opposition to imperialism. Saville spent much of his leave time at a commune run by the local Communist Party, where he wrote several pamphlets and gave many lectures to English-speaking members of the organisation. At the base in Karachi where he was stationed when he was on duty, Saville formed and led a communist cell of twenty-five. When he was moved to Bombay in the aftermath of the war he became a leader of one of the famous 'Forces parliaments' formed by servicemen who were tired of the army's ossified officer class. After Saville helped get a motion condemning the killing of pro-independence demonstrators passed by the Bombay 'parliament', the institution was forcibly shut down. When he returned to Britain Saville took a job teaching economic history at the fledgling University of Hull. Saville was to remain at the university for the rest of his working life, refusing offers of employment at more prestigious institutions. Despite the geographic isolation of Hull, Saville became a very active member of the famous 'Communist Party Historians Group' which flourished in the postwar years. Although other members of the Historians Group like Eric Hobsbawm and Christopher Hill achieved greater public fame, Saville's academic publications earned him a high reputation amongst his peers. Like most of the other members of the Historians' Group, Saville was determined to foster a 'history from below' which was attentive to the experiences of ordinary people as well as Kings and Prime Ministers. Saville's efforts to describe and explain the experience of the forgotten subjects of history led to his role in conceiving and editing the Dictionary of Labour Biography, which has collected tens of thousands of biographies of members of the world's first working class. Saville continued his political activities in the years after the war. More than half of Hull's residents had lost their homes to Nazi bombs; Saville's Communist Party branch campaigned to get new houses built for them. The beginning of the Cold War in 1947 meant that the Soviet Union was suddenly seen as a foe rather than a friend, and made the job of representing the Communist Party much harder, but Saville remained a loyal member of the organisation until 1956, when the revelations of Stalin's crimes and the invasion of Hungary caused turmoil in Communist Parties around the world. Saville had never been a blind follower of either the Soviet government or Britain's Communist Party. At the London School of Economics he had been a warm supporter of Harold Laski, the socialist academic who never gave up his membership of the Labour Party. Saville's repeated wartime refusals to accept promotion to the rank of officer had flown in the face of party directives. But Saville understood the crucial role that the Soviet Union had played in defeating Nazism, and he appreciated the assistance that Moscow gave to independence struggles in India and other colonised nations. Up until 1956 he was prepared to keep any criticisms he had of the Soviet Union and Stalinism private. With the revelations about Stalin's crimes and the Soviet invasion of Hungary, though, Saville was driven into open opposition to the leadership of the party he had served for more than two decades. 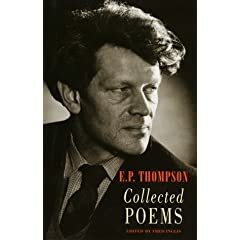 After the party refused to allow a robust discussion of Stalin's crimes in its press, Saville and a young poet and teacher from Halifax named EP Thompson set up a crudely cyclostyled newsletter called The Reasoner to give voice to the disquiet of rank and file party members. The two dissidents were soon forced out of the party, but they took hundreds with them, and the cheap newsletter blossomed into The New Reasoner, a well-designed, illustrated bimonthly that attracted contributors as diversely talented as Doris Lessing and Isaac Deutscher. Espousing a mixture of anti-Stalinism and anti-capitalism, The New Reasoner attracted thousands of readers, and became one of the foundations of the chaotic but important movement often called 'the first New Left'. When The New Reasoner fused with another publication to become the New Left Review in 1960, Thompson and Saville felt that they were riding a political wave. New Left Clubs had sprung up around the country, and Saville sat at the head of a New Left Board that counted amongst its assets a multi-storey building in central London that housed a bookshop, a cafe, and a warren of offices used by left-wing activists. 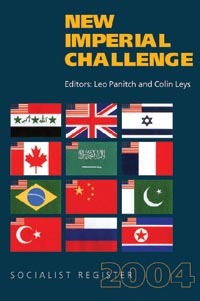 The New Left's flagship cause was the Campaign for Nuclear Disarmament, which staged a series of enormous rallies in the second half of the fifties and even briefly succeeded in winning the Labour Party to a policy of Unilateral Nuclear Disarmament. By 1963, though, the crowds were gone, the movement had broken into feuding factions, and Saville found himself ousted from the New Left Board. 1963, Thompson's 'chapter' ran to eight hundred and forty-eight hundred pages. Asa Briggs never did get his textbook. Saville had much in common with Ralph Miliband, and the two men quickly developed an almost symbiotic relationship, exchanging daily letters about their own academic research as well as their editorial duties, their families, and their gardening. 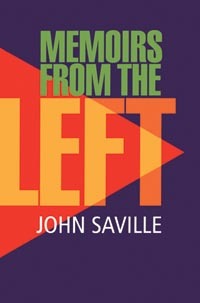 Saville's work with Thompson and Miliband prepared him well for the immense collaborative project which was the Dictionary of Labour Biography. Between 1972 and 2000, Saville edited the first ten volumes of the work, a task which required him to coordinate the labours of scores of different scholars. Saville's fiercely egalitarian beliefs are reflected in the vast scope of the Dictionary, which gives space to many obscure grassroots members of trade unions and other workers' organisations, as well as to famous leaders like Keir Hardie and Harry Pollitt. The influence of the Dictionary has been profound, even as far away as the South Pacific. It is hard not to see the marks of Saville’s project on the multi-volume Dictionary of New Zealand Biography, and on more modestly-sized works like Kiwi Companeros, the recently-published, multi-author attempt to rescue New Zealanders who served in the Spanish Civil War from oblivion. Although he was devoted to the cause of the working classes and the politics of the left, Saville never adopted a hostile stance towards people who did not share his background or his beliefs. During his decades at the University of Hull he developed a friendship with a man whose politics could not be more different from those of the New Reasoner and the Socialist Register. Philip Larkin may have been a misanthropic Tory, but he and Saville shared a fondness for Hull, and a desire to preserve the traces of its written history. Together, the grumpy poet-librarian and the socialist academic campaigned for the creation of an archive at the University of Hull’s Brynmor Jones library, so that the people of city could preserve their letters, diaries and other unpublished writings. Today, the Brynmor Jones Archive includes tens of thousands of documents, including one of the best collections of unpublished Quaker writing in the world. I visited Hull in 2005, when I was researching my PhD thesis on EP Thompson, and spent many hours poring over the papers that John Saville had left to the Brynmor Jones archive. During my time at the Brynmor Jones I discovered hundreds of fascinating letters to and from Thompson and Miliband and a dozen unpublished Thompson texts, yet I scarcely scratched the surface of the Saville Papers. It was not only the sheer bulk of the papers that impressed me, but the diversity of interests and activities which they advertised. Many folders of material were dedicated to aspects of the Dictionary of Labour Biography project, and many more were given over to the Socialist Register, but others revealed less well-known interests which Saville had doggedly pursued over the decades. One folder, for instance, was filled with documents relating to the obscure but heroic independence struggle which took place in Portugese Guinea from the 1950s until 1974. Few people on the Western left followed this struggle closely, but Saville had been involved in organising solidarity with the anti-colonial army led by Amilcar Cabral. Other folders revealed the extent of the encouragement which Saville gave to younger researchers into social history. In the 1930s he had briefly been employed by a company which sold a primitive form of dictaphone, and this experience may well have made him realise the potential of recording devices to capture the memories and opinions of people uncomfortable with expressing themselves in writing. Saville’s papers reveal that he helped to set up the Oral History Society of Britain in the early ‘70s, and that he had a hand in drafting its constitution. If Oral History flourishes today then thanks is due partly to Saville. Although he was ninety years old and in poor health, John Saville insisted on inviting me into his home when I visited Hull. He was proud of having lived with his wife Constance in the same inner-city terrace house for nearly sixty years, and the books that lined the walls of almost every room seemed to insulate the building from the cold winds that blow off the North Sea into Hull. I took tea with John and Constance in the long narrow yard behind their house, which had once been covered by an extraordinarily productive vegetable garden, but was now thoroughly overgrown. At one point a man in his thirties wandered into the yard to ask if anybody needed more tea. ‘This is my son Ralph’, John explained. ‘You might be able to guess the person we named him after.’ Later that day a grandchild on holiday from Sheffield University dropped by, and made it clear to me that I must be an awfully strange person to want to interrogate her loveable, ordinary old granddad about his life. Thank you for this informative and impassioned obit. I'm an admirer of Saville's work (especially his book on 1848) but knew nothing of his life. [One thing: Asa Briggs was a man}. How many members of the old CP Historians Group are still alive? Thanx so much for this...I learnt much more about Saville than I'd ever done. I will create a link to this posting on my blog and face book page....I will also follow the blog. Thanks for posting this Maps. I met John Saville a few times, and yes: he was one of the good guys. In his personal politics, I think he had some things better than EPT (he was much less dismissive for example of the need for organisation to Labour's left). We'll have something in due course in the Newsletter of the London Socialist Historians' group, but (sadly) I've not heard yet of anyone else planning obits. Thanks for the correction Kauders -Dorothy Thompson noted the blunder too! Look forward to checking your blog out Buba, and good to see you're still writing David. many thanks for this - apologies for not linking to this earlier. I am most impressed by this obituary of John Saville. The writer has explored some fascinating corners of a life well lived. I first met John when his home was a sort of warm, hospitable Committee Room for Richard Gott'1966 parliamentary by-election campaign. John was an enthusiastic supporter.However it was nearly thirty years on before I got to work with him. This was in the Northern Marxists Historians Group which was probably his last attempt to bring together lecturers, students and non-university folk interested in promoting a socialist take on history at a time when the Thatcherites were conducting an assault on progressive scholarship. The monthly sessions in Manchester went on for nearly a decade and John was the catalyst who encouraged writers, new and old. His speedy and meticulous, friendly and tough replies to enquiries were his gift. As a late arrival to serious scholarship I owe him a great deal. I know that there are countless students across the world who share this experience.